Warmer weather can see weaning weights drop by more than 1kg, so a summer feeding strategy should be considered now for rapid implementation when necessary, according to advice from piglet feeding specialists at Primary Diets. 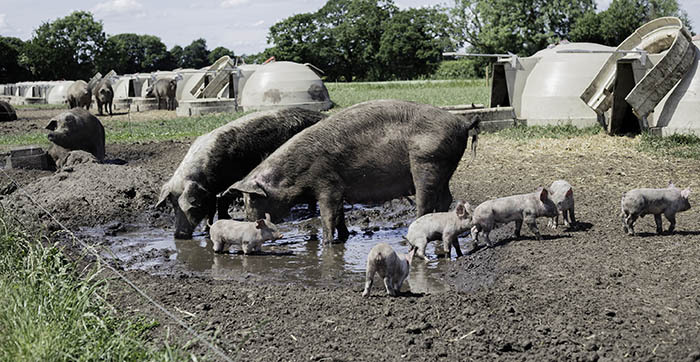 While the impact of hot weather tends to focus on breeding sows and grower/ finishers, the company’s nutritionist Dr Sadie Douglas recommends having a plan to limit the reduction in milk yield and, therefore, weaning weights, so the effect of heat stress on nursery pigs is minimised. “Higher temperatures mean the sow tends to reduce her feed intake to help regulate her own internal heat production, and this reduction can happen pretty quickly,” said Dr Douglas. “The impact during lactation can be a reduction in milk volume for suckling pigs, although, where possible, the sow will first utilise reserves and lose body condition before milk volume is sacrificed. “However, the knock-on effect is smaller weaning weights for offspring or potentially greater variability within litters as a reduction in milk volume is likely to impact pigs differently within the litter. A top dress product could be fed during periods of hot weather to boost nutrient intake when feed intake is low. Research indicates that piglets will eat more pre-weaning creep feed during hotter weather, potentially to mitigate the reduction in milk quantity available from the sow. The company noted that feed intake of weaner pigs is not likely to be affected by the hot weather, given their size. However, producers do need to account for their lower body weight as nursery regimes may no longer be optimal for the size of the piglets being weaned. “The easiest way to do this is to increase the nutrient density of the diets, so we advise moving to a higher specification regime during the summer months and keeping the quantity of feed the same,” Dr Douglas said. “Conversely, keeping the diets the same but increasing the amount fed can also ensure that pigs are moving onto their link diet at the ideal weight, although bear in mind this can mean pigs will take longer to eat the increased feed ration.